When hosting a party or event, it’s your responsibility to ensure all of your guest are comfortable at the venue. As such, you need to make the necessary arrangements for them. Of course, your party arrangement would not be complete without proper seating and dining facilities. The unavailability of tables and chairs can lead to chaos in your party. Fortunately, there are many decent party and wedding table rentals around. In fact, it’s quite easy to find rental companies that offer tables and chairs to meet your specific needs. This is a good thing considering that purchasing new furniture or a one-day event would probably be a complete waste of money. Plus, relying on your existing furniture is not a good idea because they’ll most likely be insufficient for your guests. 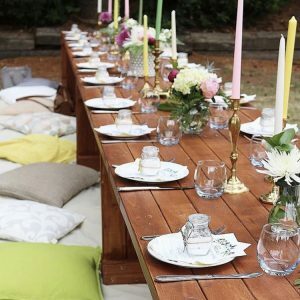 With party table rentals, you’ll find table in different shapes, sizes, materials, and styles to suit your party décor. 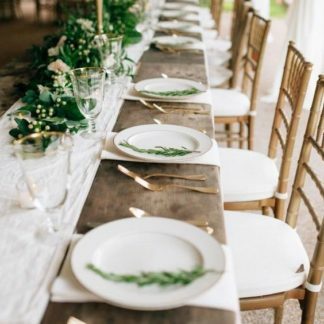 Nonetheless, whether you’re hosting a wedding reception, anniversary celebration, corporate events, a graduation party, or a birthday party, there are a number of factors you need to keep in mind when deciding on the right table choice for you. One of the key things you need to decide is the kind of tables that are ideal for your event. 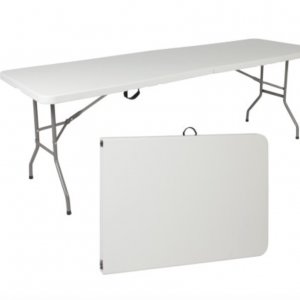 The most common choice for table rentals is plywood folding tables, though many rental customers also go for laminate cocktail tables. Rectangular and round tables are the most popular choices. You’ll also find other shapes such as triangular, square, and serpentine. Large rectangular and round tables work well as the head tables when hosting dining guests. 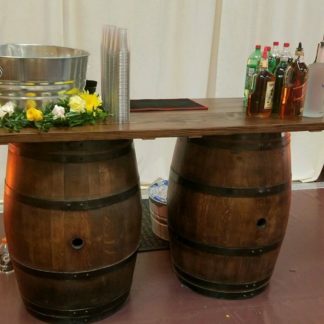 Company meetings can encourage mingling by setting up an area with cocktail tables. For a wedding event, you can choose a rectangular table for cake display. Round tables also tend to work well for less formal events dining and display. The perfect choice for you will depend on your venue. Ensure the floor plan utilizes the available space optimally. In most cases, rental tables are made of plywood. 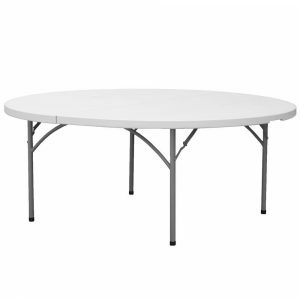 Still, there are table rental companies that offer tables made from aluminum, acrylic, laminate, plastic, and polyethylene. The appeal of aluminum and acrylic tables is that you can use them without having to use linens. 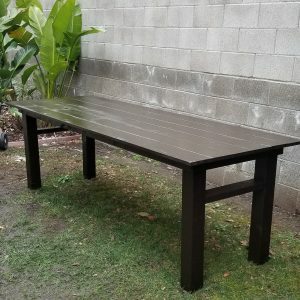 Most rental tables usually come in natural wood grain finish. 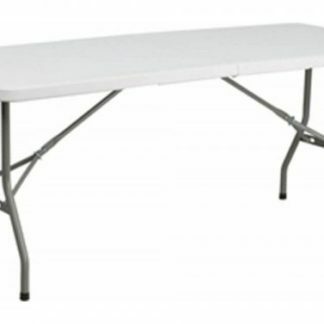 Most plastic tables come in granite, white, slate, almond, or other finishes. choosing the style for your chairs will depend on the tables you go with. 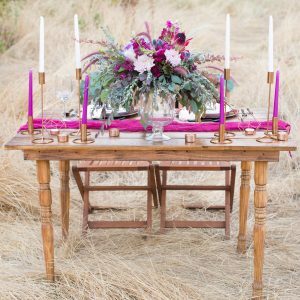 For instance, harvest tables go well with matching benches, while cocktail tables are best matched with bar stools. You should choose your linens based on the tables you choose and the theme of the event. Don’t forget to consider the material of the linens. 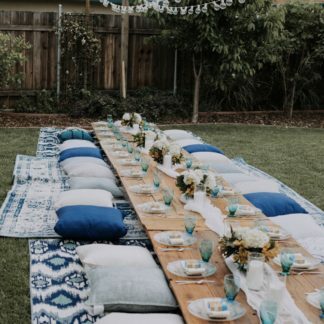 For example, a corporate holiday party will call for glamour napkins and tablecloths, while an outdoor barbeque will be better suited with basic poly-cotton linens. These can include stages, dance floors, and other pieces meant for entertainment purposes. It’s best to go for pieces that complement the colors of your theme and match different textures for visual interest. When renting event tables, you also have to consider table decoration. Decorative elements have to be placed at the center of the table. However, the decorations shouldn’t consume a lot of space on the table. Be sure to include flower vases, napkins, and other essential pieces. The décor should ideally look nice and enticing. You can optionally use candles and floating candle bowls to achieve your desired look. If you use candle holders, make sure there are candle wreathes underneath. This will look really nice and add on to the appeal of the table. If it’s a bridal table, ensure it’s a bit more elaborate than the usual tables. When decorating your tables, use elements that complement the overalls theme and décor of the venue. Use neutral colors like white, cream, baby pink, etc. the neutral shades will be easy to match up with other colors. 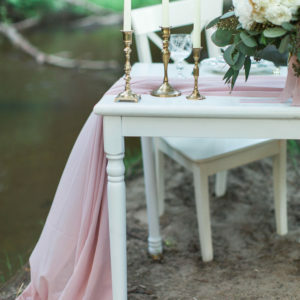 The bride’s table must have white cloth that’s ideally offset against the colored table. You can also mix and match the color of your guest tables. Go for fabulous color combinations to add an element of excitement and fun to the décor. If done right, decorations can really create a difference at your wedding reception. Everyone at the party will have fun, and they can associate with each other if the tables and chairs are aptly set up. If you get it wrong, your guests will probably be bored or worse, feel confused. Aside from making the seating arrangement perfect, good decorations will uplift the looks of your venue. If it’s a wedding event, ensure that the bride and groom’s seating arrangement is perfect, with the groom on the left side. From here, there are two ways of seating the guests. The best bridesmaid has to be seated by the side of the bride, with the best man on the left-hand side. At this point, you can use round tables to seat the boys and girls perfectly. A lot will depend on your personal preferences but above all, it’s important to have a good party and weddings table renter by your side to help you achieve your desired look. 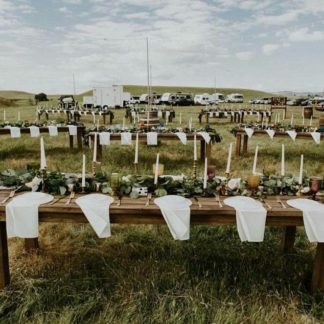 • Ensure that you know how many tables of every size that you plan on renting and ask for a quote on the total from your tables rental company. • Visit the company and look at the table once you have narrowed down your search. • Keep in mind that you can get a discount if you plan on renting in large quantities. • Don’t forget to ask if setup is included so that you can allot time accordingly. • Place an order and set a delivery date. Make sure that the items will have arrived in time for your event. • Ensure the quality of the items you’re renting is up to par. As a closing tip, have someone check what was delivered and what was picked up. Let them note what was missing on the delivery receipt so that everything matches up when it’s time for the rental company to pick up the items. Don’t receive anything without checking as you may have to pay for any “missing” items.